Granny Smith apples and cinnamon! Smells just like Grandma's kitchen with her famous apple pie in the oven. Apples with the skin on are full of plant nutrients. They are a source of vitamins A and C and fiber. 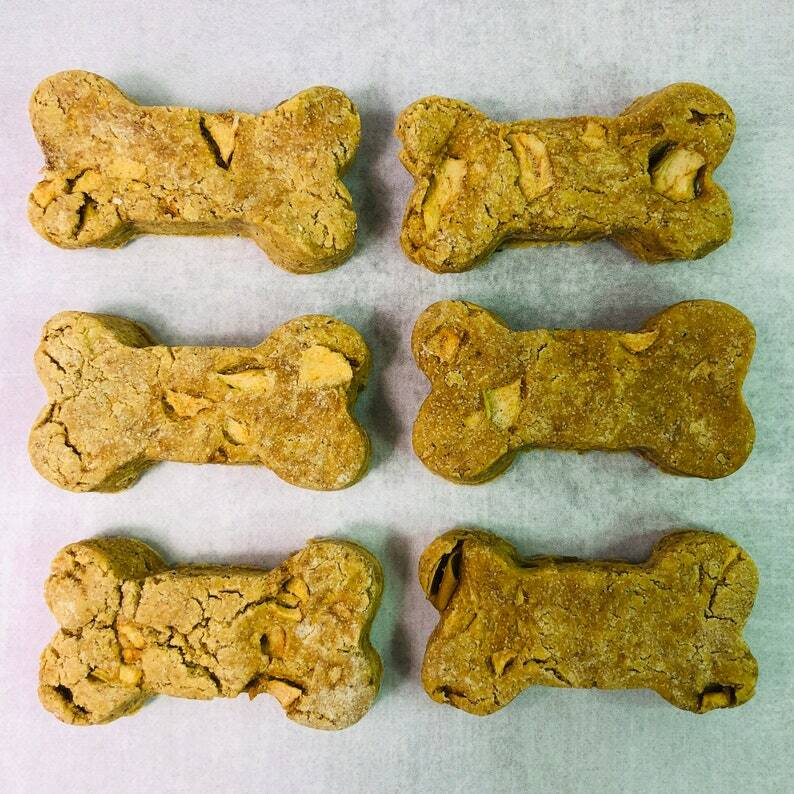 At Dog Gone Good Barkery, we leave the skin on and all the seeds out! Cinnamon has been long used to cure nausea and has been used to boost energy, circulation, digestion and brain health. Grandma knew how amazing these ingredients are and we know they so good for your dog! You will receive a 1 lb.. resealable bag of Apple Cinnamon treats. The treats are approximately 2" long. These Apple Cinnamon treats are made with chickpea flour so they are wheat free.